Приложения экспоненциальной аппроксимации по целочисленным сдвигам функций Гаусса. uniqueness of its solution. We compare results with known ones and briefly indicate applications to signal theory.
) = ( ) 1 = ( ).
. - 2010. , . .
. 67. - . 107-116.
. - 2009.- . 111.
. - 2008. - . 124-126.
. - 2011. . .
G. Schmidt // Journal of approximation theory. 2007.- 145. - P. 141-170. [Text] / V. Maz’ya, G. Schmidt. 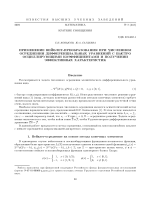 – Sweden: University of Linköping, 2007 – 350 P.
et al // Journal of Mathematical Sciences, Springer.2011. – V. – 173. - 2. - P. 231-241. .- 2011. - . 234-236. 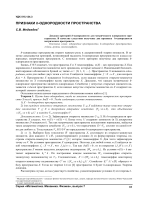 V. Maz’ya, G. Schmidt // Journal of approximation theory. - 2007.- 145. - P. 141-170. 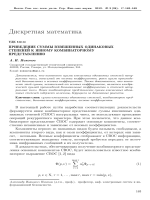 L. A. Minin et al // Journal of Mathematical Sciences, Springer.- 2011. – V. – 173. - 2. 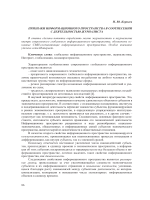 - P. 231-241.
and its applications. Partial differential equations. - 2010. - T. 67. - P. 107-116. 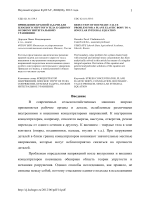 S. M. Sytnyk, M. V. Zhuravlev // Scientific statement of the Belgorod State University. - 2009. 13 (68) Issue 17/2. - P. 89-99. mathematics." - 2009. - 1 (8.) - P. 234-311.
equations (AMADE). 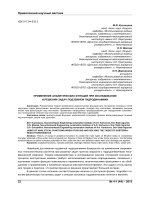 Proceedings of the International Conference, Minsk, Belarus. - 2009. - P. 111. Southern Federal University. - 2008. - P. 124-126. Voronezh Institute of the Ministry of Internal Affairs. - 2011. 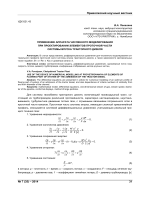 - P. 260-261.
and boundary value problems", on the 75anniversary of U. P. Samarin (MMBVP), Samara. - 2011. - P. 234-236.